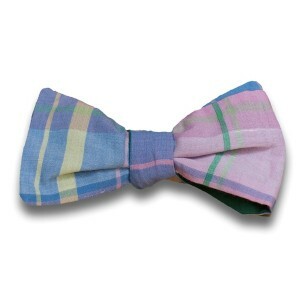 Perhaps it's the party plaid paired with casual chambray that makes Chris an instant hit. Or maybe it's the pink, turquoise, purple and red explosion of colours that just compliments Chris' awesome attitude to life. 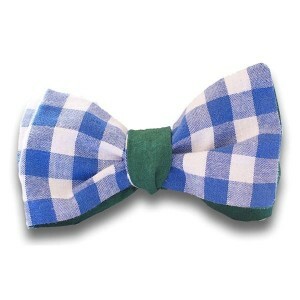 What we do know, however, is that The Chris is the newest most exciting double sided tie from Bowtiful. 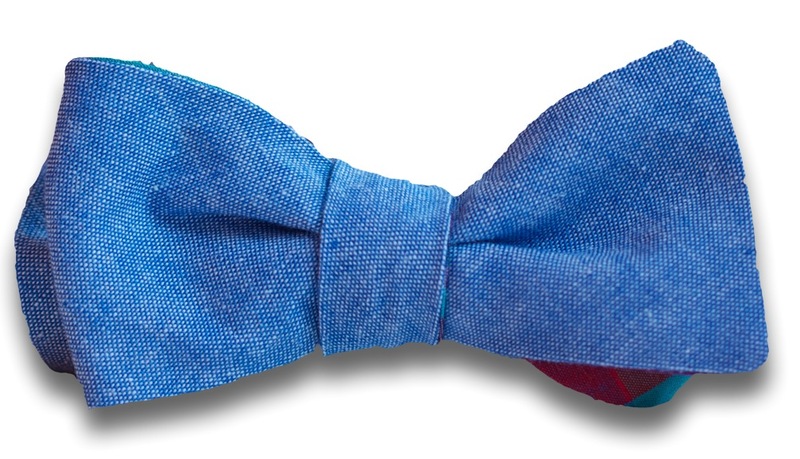 100% super soft (and eminently strokeable) light blue chambray cotton on one side, and the infamous (and somewhat loud) party plaid cotton on the other. 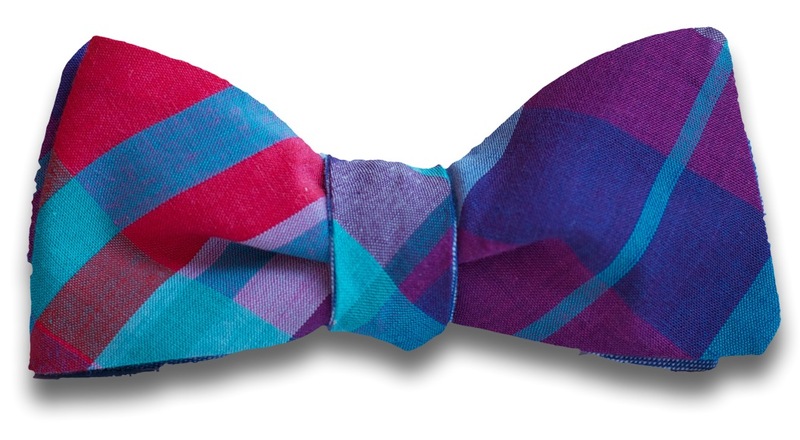 Wear The Chris in a range of contexts, and be amazed by how many friends you'll make. Hand made with love and care in the UK. Totally adjustable, fitting all neck sizes from sticky to stocky (about 17.5″). SKU: 019. 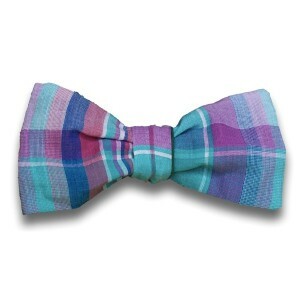 Categories: Bow ties, Current collection, New Plaids, Second 10. The Chris was exactly what I was looking for. 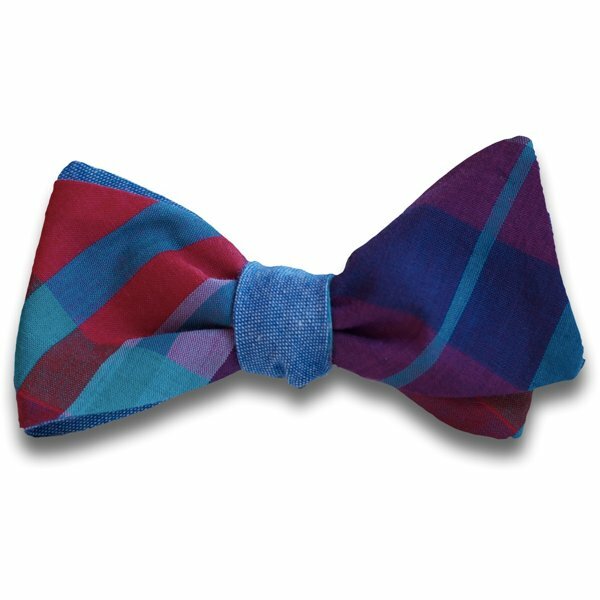 Slightly quirky without being garishly flamboyant – the perfect tie for the unconventional seeking to fit in, but not too much. 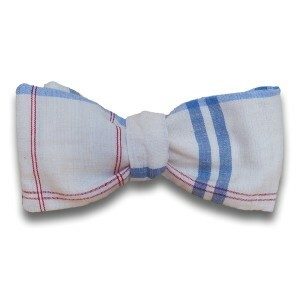 The adjustable strap means that it always sits nicely, without having to tie and re-tie the tie, several trying times. 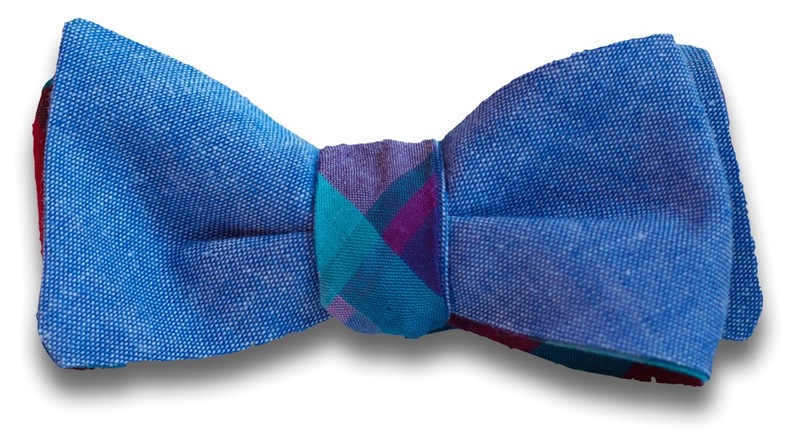 I love that each individual tie is a unique variation and the colour scheme is wonderfully complementary of almost any outfit. Chris really is wonderfully strokeable.